US believes strike killed 'Jihadi John' Jump to media player The Pentagon says it is "reasonably certain" that a US drone strike in Syria has killed the Islamic State militant known as "Jihadi John". Who is 'Jihadi John'? 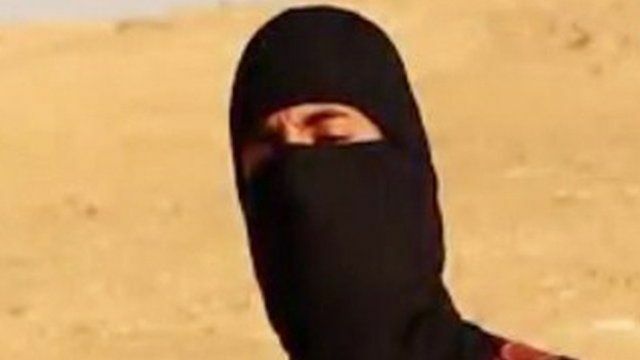 - in 45 secs Jump to media player Who is Islamic State militant "Jihadi John"? BBC News explains in 45 seconds. Cameron: 'Emwazi is a barbaric murderer' Jump to media player David Cameron has said he "cannot be certain" whether or not airstrikes in Syria targeting "Jihadi John" were successful. The Pentagon says it is "reasonably certain" that a US drone strike in Syria has killed the Islamic State militant known as "Jihadi John". Col Steve Warren said Thursday's attack in Raqqa had hit the intended target, but it would take time to "formally declare that we have had success". Mohammed Emwazi, a Kuwaiti-born British militant, appeared in videos of the beheadings of Western hostages. UK PM David Cameron said targeting Emwazi was "the right thing to do".